Camp season is such a wonderful time in the life of a youth. So many wonderful decisions are made at church camp that impact the rest of a young person’s life. We were happy to take 4 teens, and 4 preteens to camp from our new church this year! Many decisions for Christ were made which always thrills us! Hopefully next year we will have many more youth able to attend, since we had two teens that weren’t able to attend last minute because of health issues, and they were extremely disappointed not to go. Ben with the older three teens from our church at youth camp. The time finally arrived in which we were able to hold our first baptisms! Because of our small space we have searched for options for a baptistry, but finally just bought a small pool that can be set up and taken down easily. It was not ideal, but baptizing those who have been recently saved was a priority. Nine were baptized, including two of our children, and it was a very sweet moment for our church to see the growth that is happening! 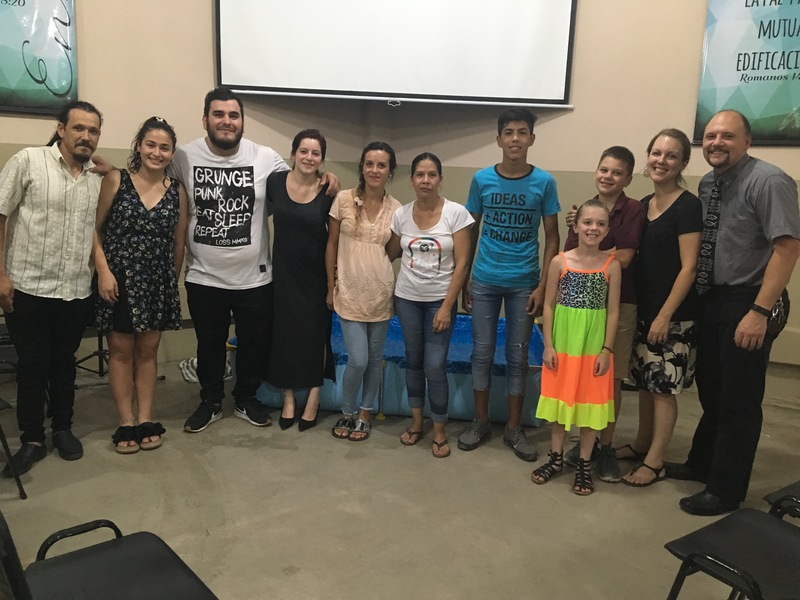 Please pray for the continued spiritual growth for those baptized (from left to right): Sergio, Micaela, Gabriel, Celeste, Sofia, Sonia, Alan, Alenna, and Lucas. All of them are being personally discipled! Ben and Rachelle along with those who followed in believer’s baptism. We held our first Couples’ meeting in February, and will be holding monthly meetings to strengthen the marriages and families in our church. Please be in prayer for our church families, many of the couples have hard struggles they have to deal with from past decisions, and it is an uphill battle. However, we are thankful for those that are stronger now because of personal spiritual growth and discipleship, such as the Acostas (pictured below)! 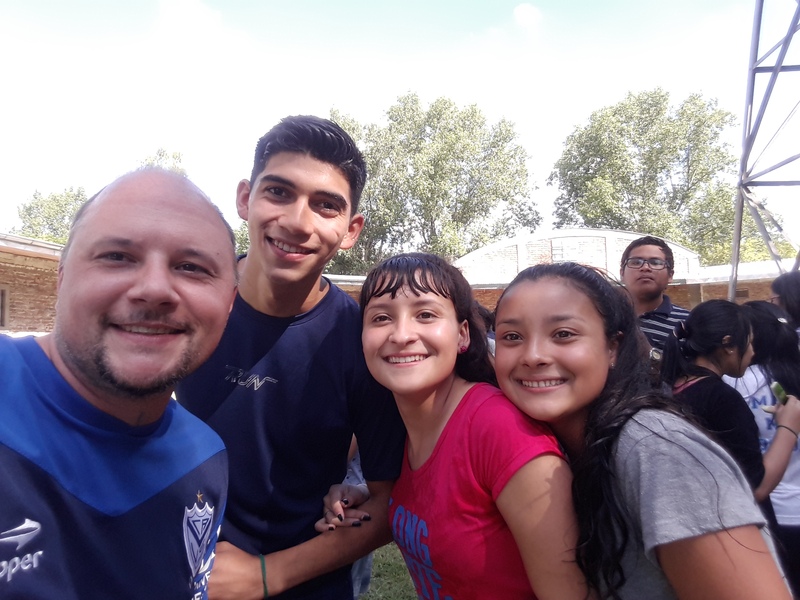 Also, pray for Guillermo and Mirta because they are our “right hand” laborers and we know that Satan never is happy when people step up to serve God and others. Pray for their strength and encouragement. 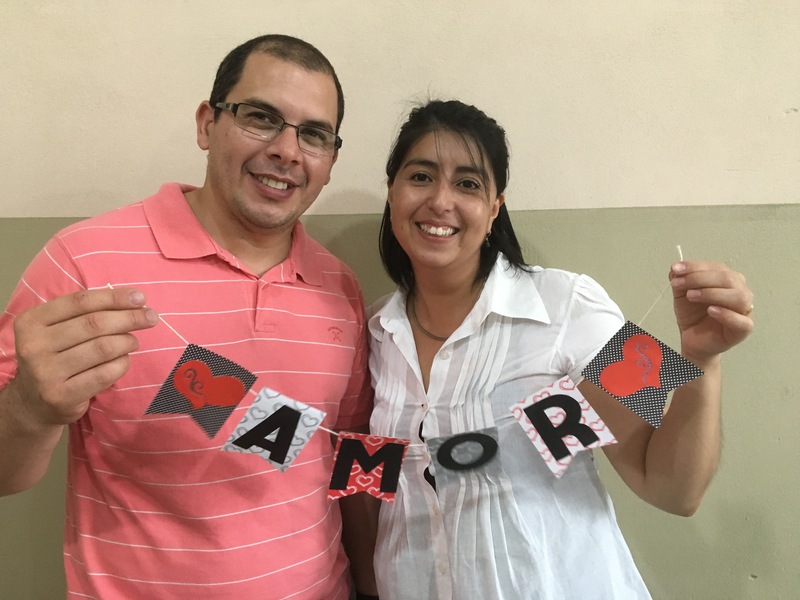 Guillermo and Mirta,, one of the couples who marriage has been turned around because of God working through their discipleship and obedience. * We were able to get Nicolas’ US citizenship and passport done! This entry was posted in Prayer Letter. Bookmark the permalink.